Today the school honored Ms. Hadley at the final Z-Town meeting of the year. A special thanks to Zervas art teacher Rachael Simkins and fourth grade parent Julius Starkman for creating a beautiful art work: an all-school class photo that all the children at Zervas signed. The first grade performed a special version of the Zervas school song for Ms. Hadley. 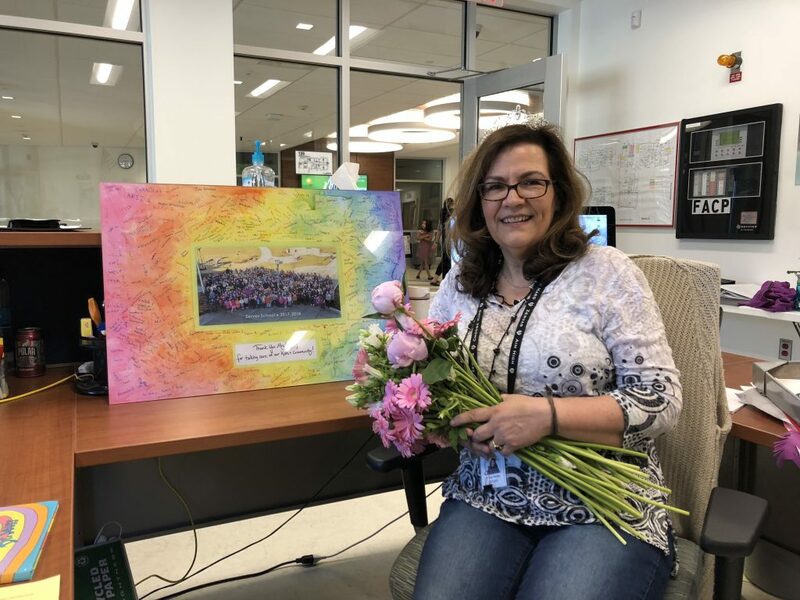 Ms. Hadley, we will miss you!